As recent episodes of our new sports history podcast have touched on the history of the NCAA, debates over amateurism, and the role of sports in college admissions, we’ve talked a lot about student-athletes. So it seemed like it was high time we talked to a couple of actual student-athletes. This week on The 252 we’re joined by Bethel University students Jana Roste (a senior math education/physical education double-major and slugging outfielder for the Royals’ softball team) and her younger brother Jaran (a sophomore accounting and business/political science double-major who is the Royals’ starting quarterback, after spending a redshirt freshman season with the University of Minnesota). 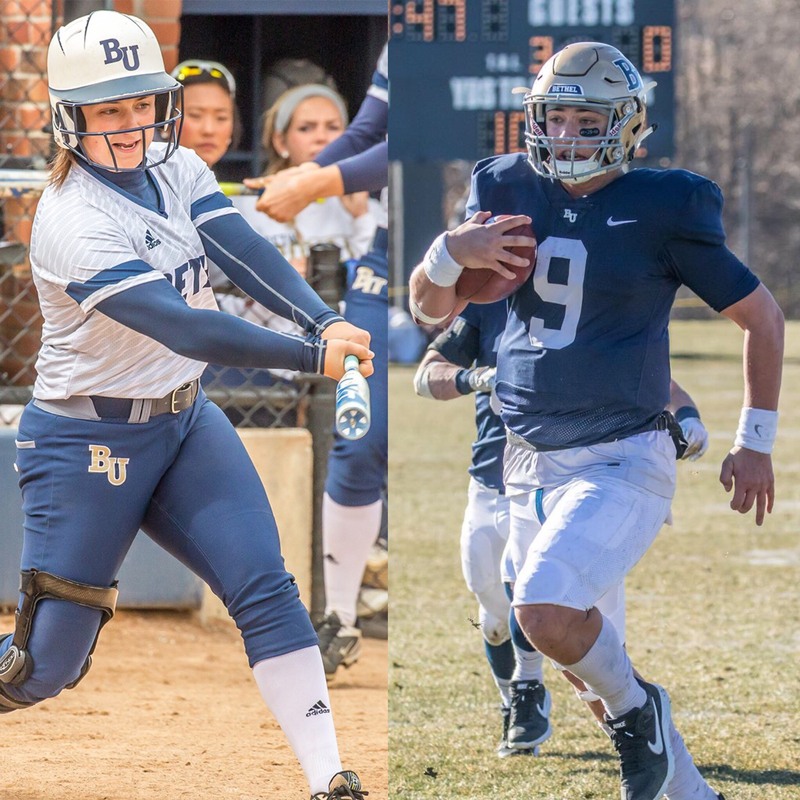 They shared their stories of growing up playing multiple sports in a small city in western Minnesota, what it’s like to balance academic and athletic commitments in Division III, how sports connects to their faith as Christians, and how Jana is facing the end of her athletic career. In addition, we celebrated the career of Ichiro Suzuki, debated whether major league baseball could become a trans-Pacific enterprise, and checked in on our March Madness brackets. As always, you can download or stream episodes of The 252 at Podbean, and follow us — with the rest of our Live from AC2nd podcasting colleagues — at Facebook. Now, Ichiro’s performance clearly tailed off badly in the second half of his MLB career. But even if you look at the same measures from each player’s single best streak of five seasons from age 27 on, Ichiro is roughly similar to Rose… and both are still far behind Cobb (whose best seasons actually preceded his 27th birthday). I think Ichiro was clearly the best defender of the three, but I doubt fielding overcomes the other statistical differences.